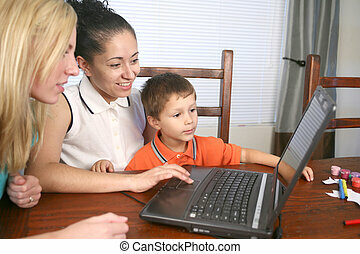 Family on computer. 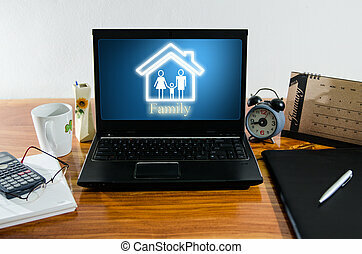 Family in kitchen on the computer. 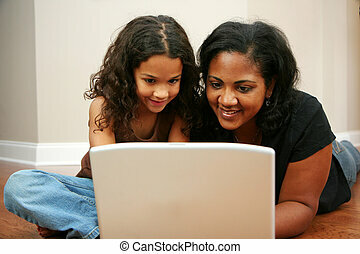 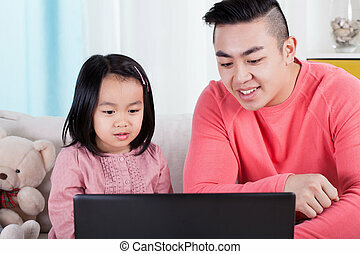 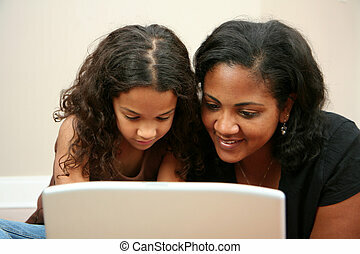 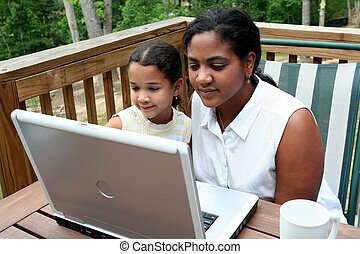 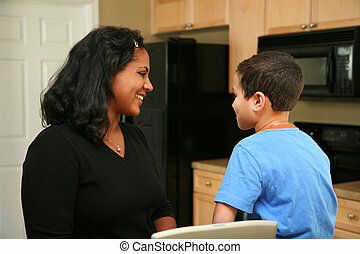 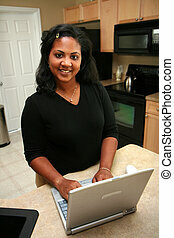 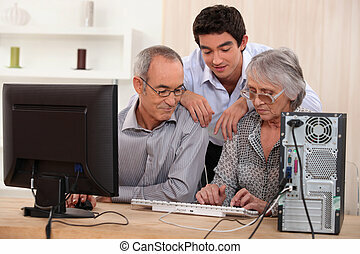 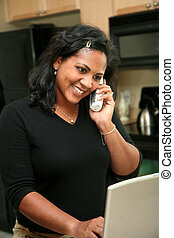 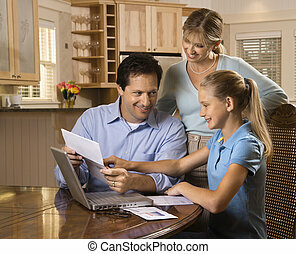 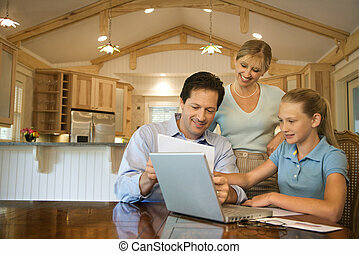 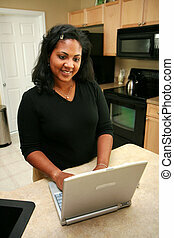 Caucasian family paying bills on laptop computer.